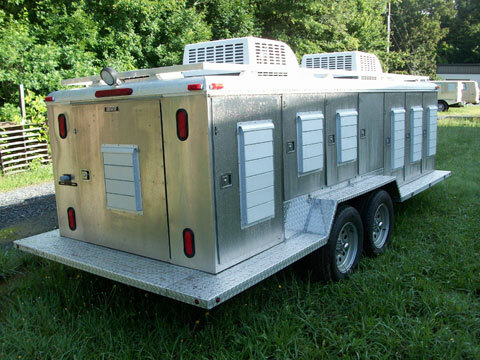 Storage Area: 24"x 64" x 30"
Climate Control - Includes 13,500 BTU Roof Mount refrigerated air conditioner with 5600 BTU heater, minimum 4800 watt Generator with electric start, low oil shutdown, starting battery and 12 gallon fuel tank. 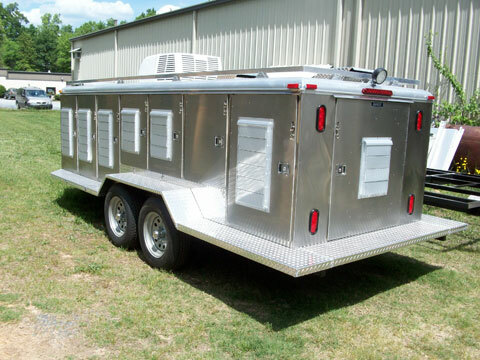 Will cool up to 8 dog compartments. 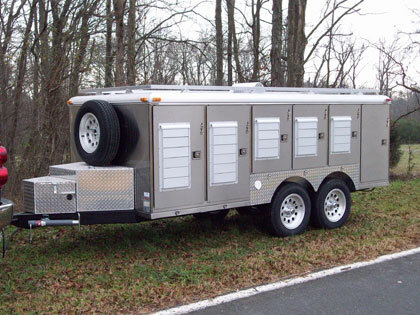 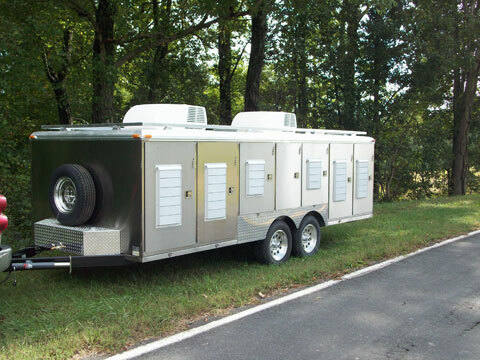 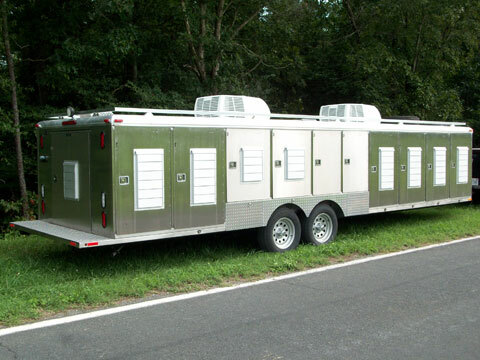 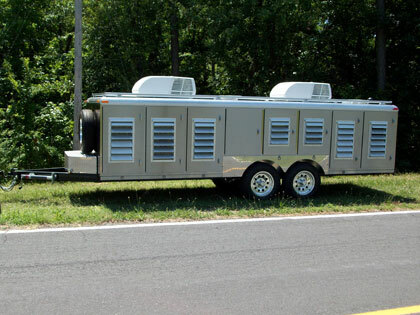 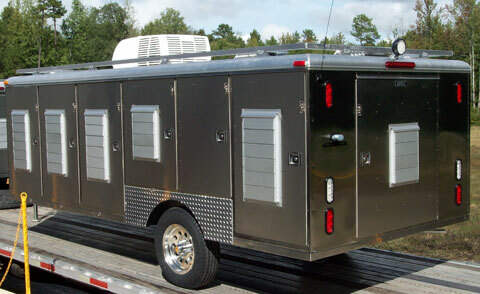 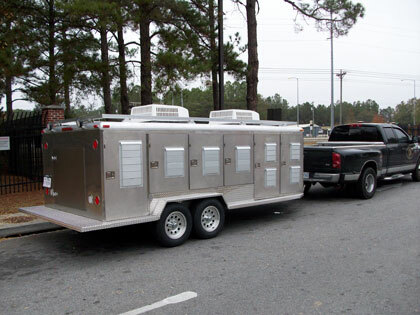 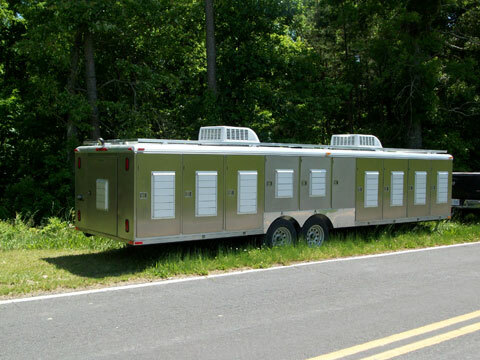 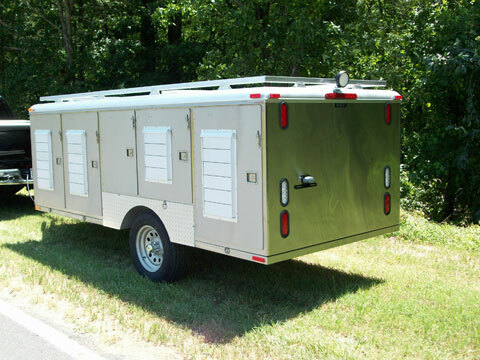 Larger trailers requires two (2) AC/Heat units. 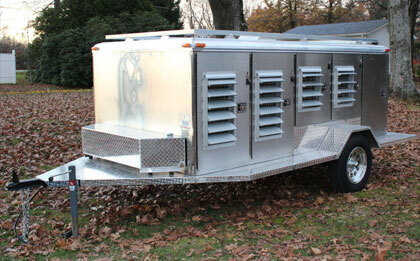 Second AC/Heat Unit - For trailers with 10 dog compartments or more.